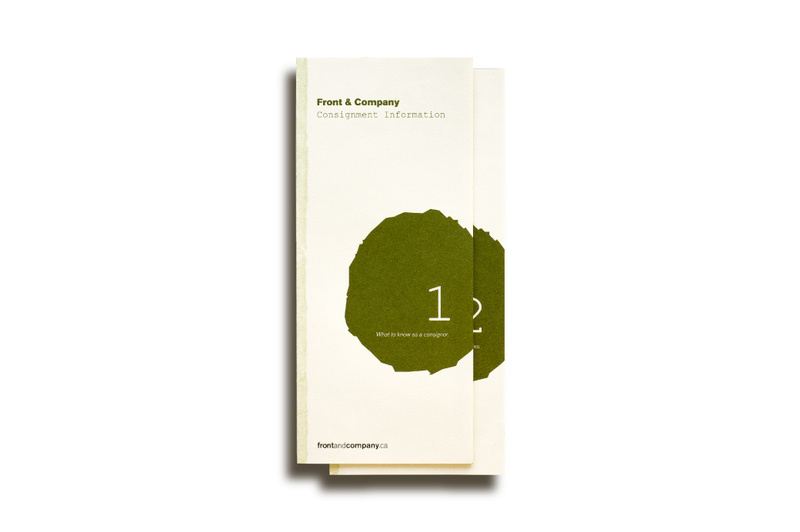 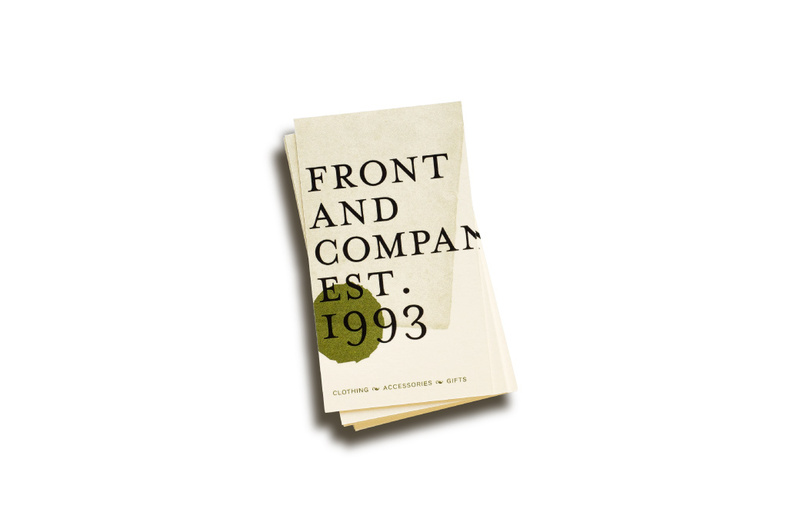 2013 marked the 20-year anniversary of Front & Company. 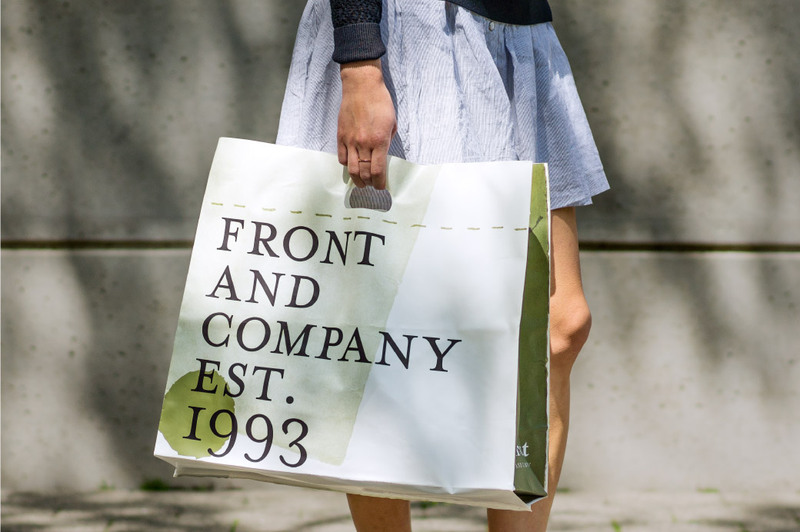 A brand refresh was undertaken to celebrate the store’s momentous anniversary. 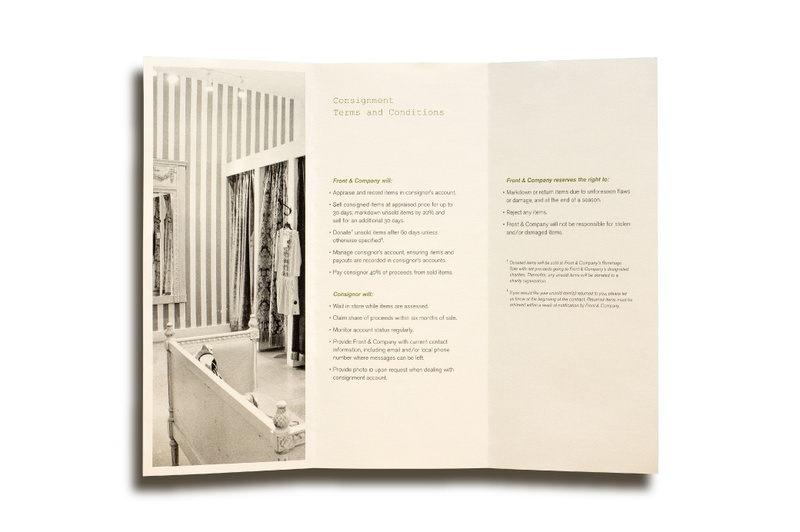 The brand materials kept the shop top of mind with customers and reinforced its positioning as a leading, independent fashion and home retailer. 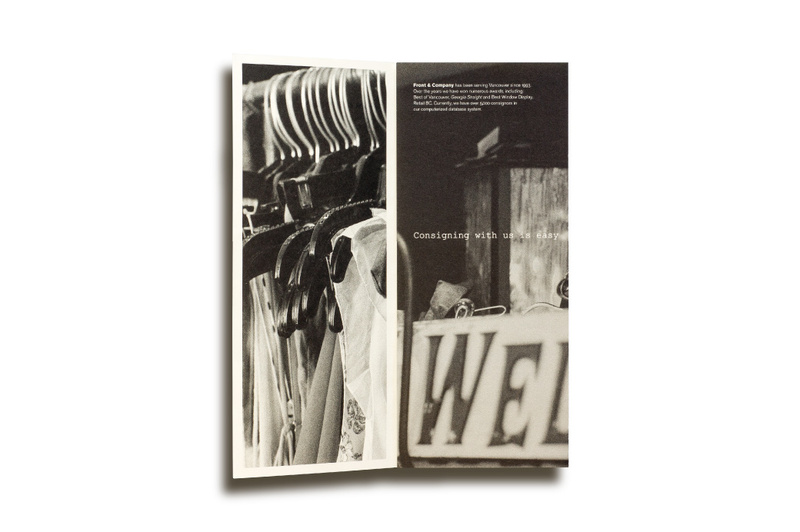 An intimately sized 5" × 7" book was the key promotional piece. 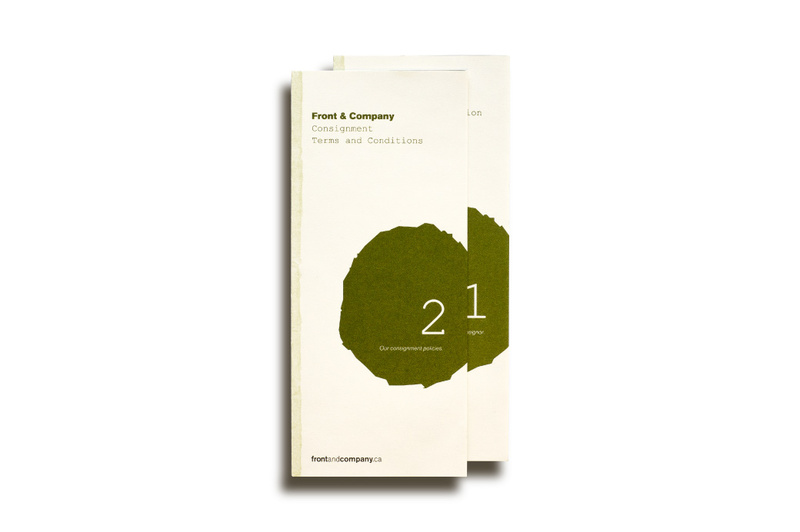 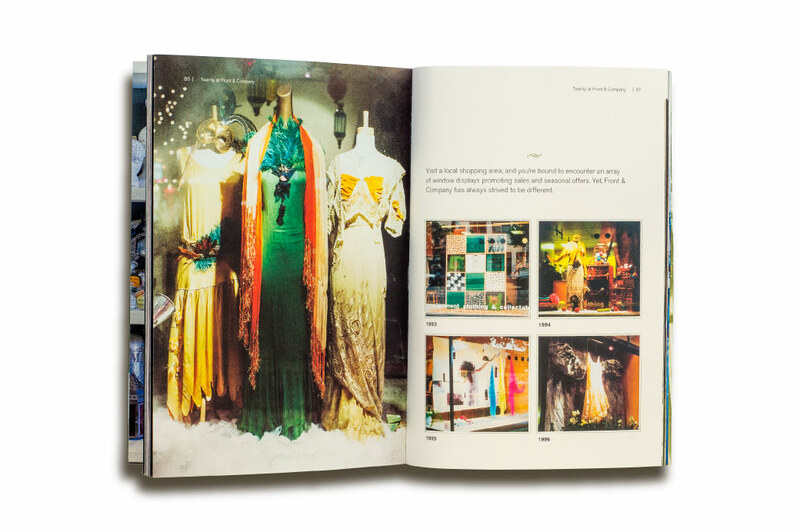 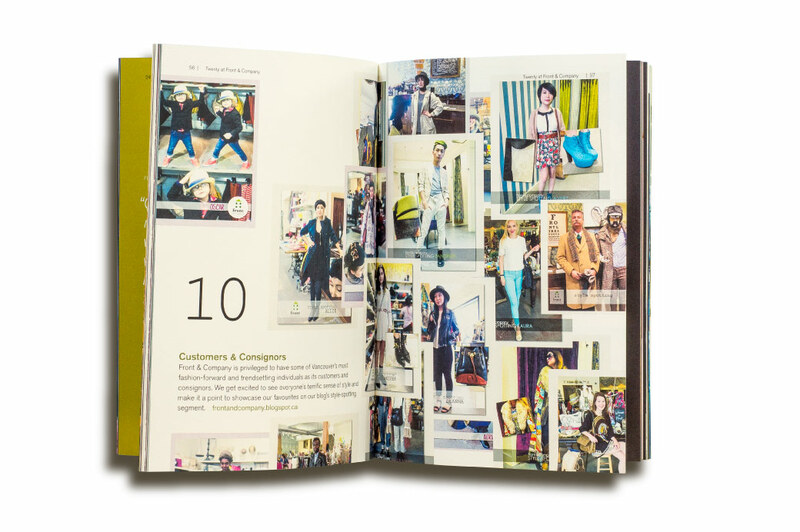 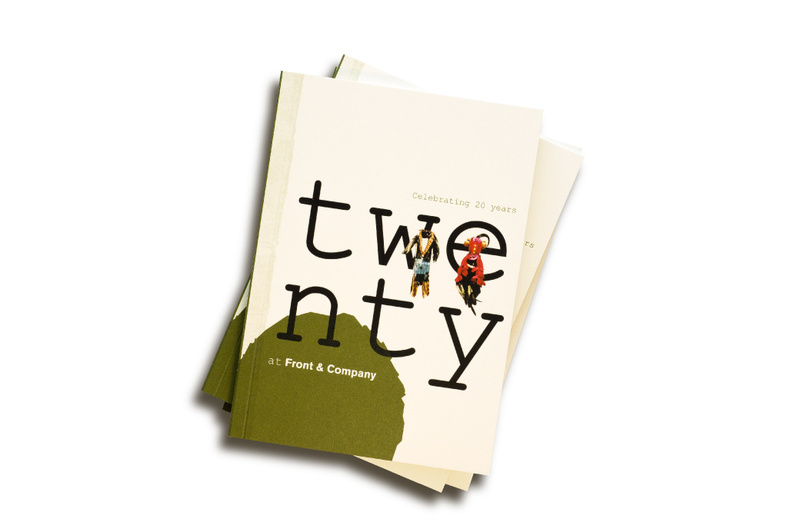 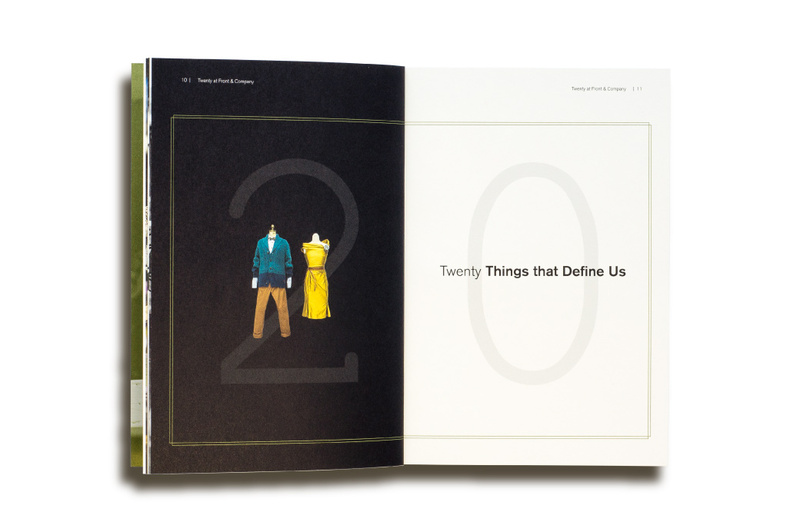 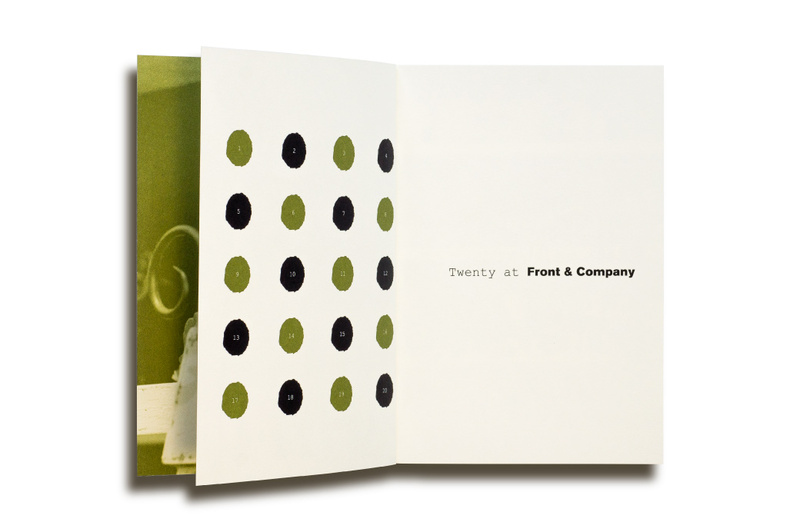 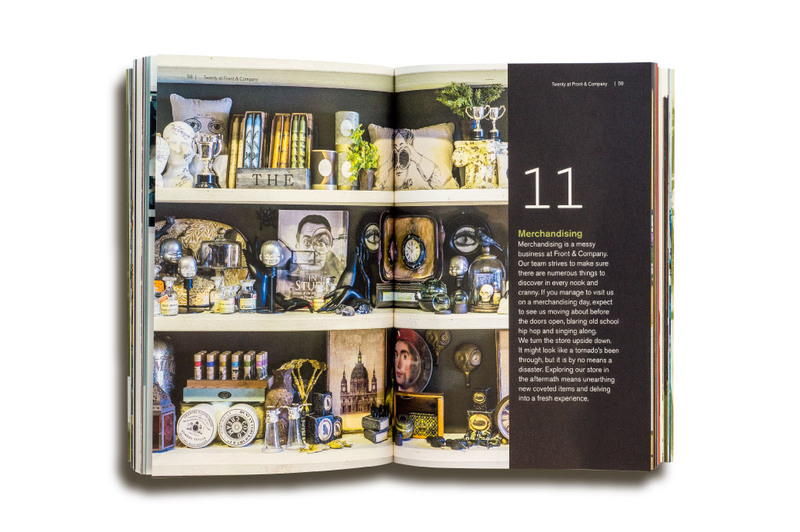 The title, Twenty at Front & Company – Celebrating 20 years, was generated to reference its history. 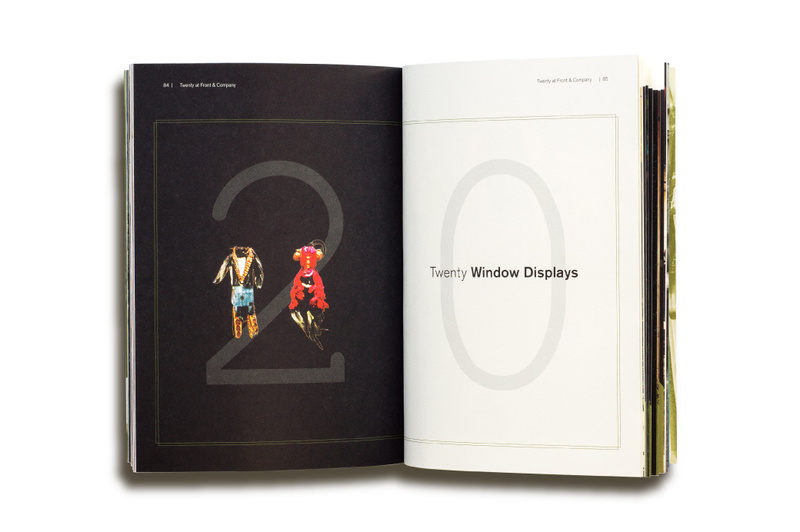 Inside, the narrative was broken into two sections that reflected the 20-year theme: ‘20 things that define us’ and ‘20 window displays’ (what the shop is locally renowned for). 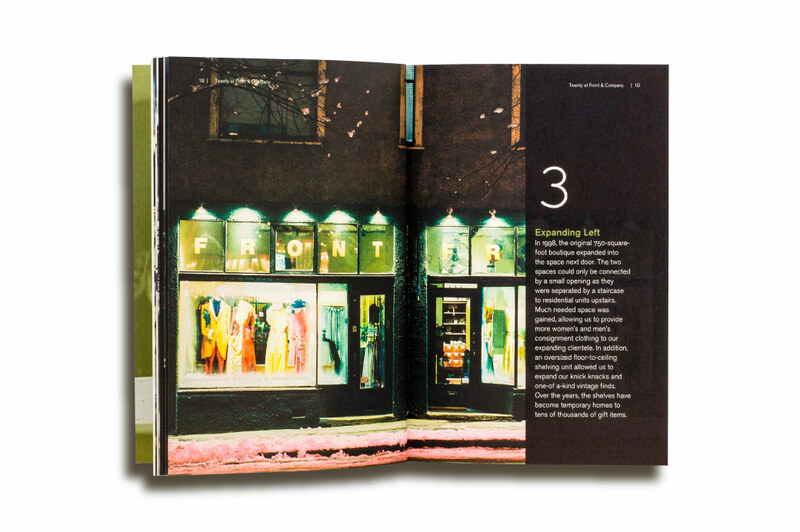 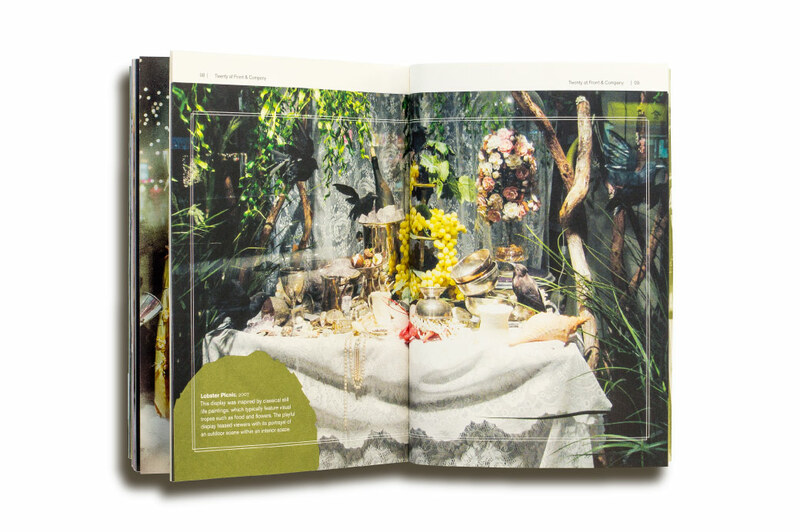 A series of photo-based, illustrative spreads were sequenced to tell Front’s story and reflect its brand personality. 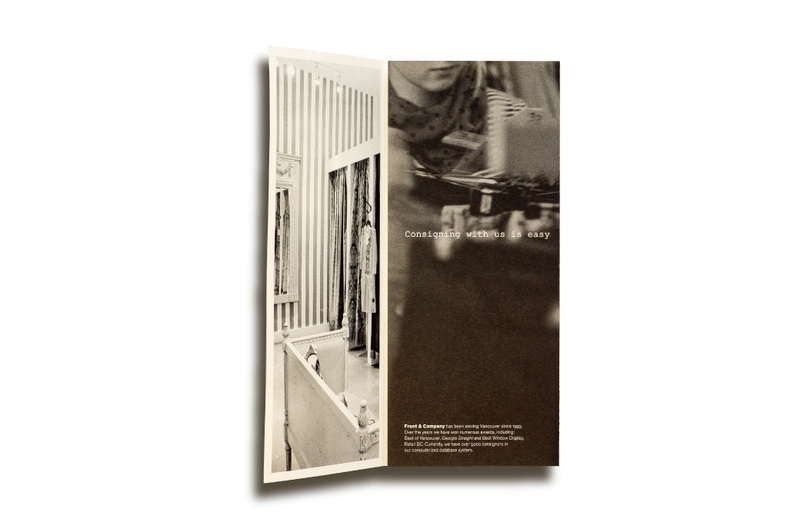 The second phase of the work comprised a refresh of the shop’s marketing brochures, stationery and packaging. 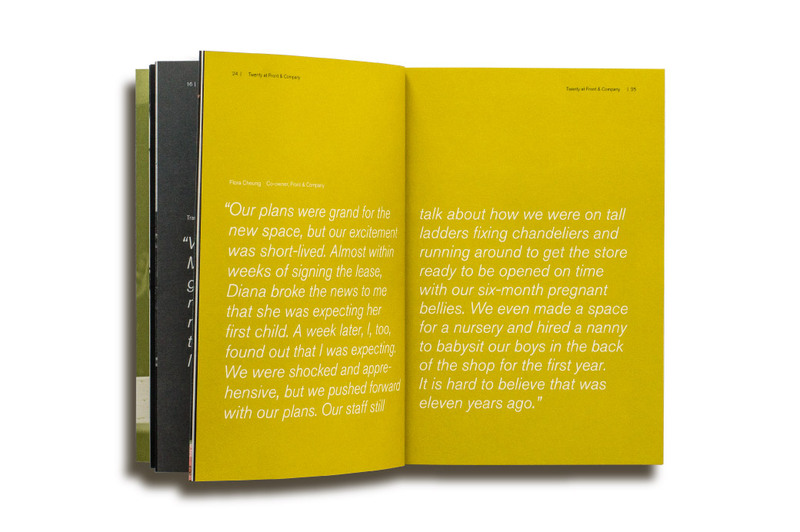 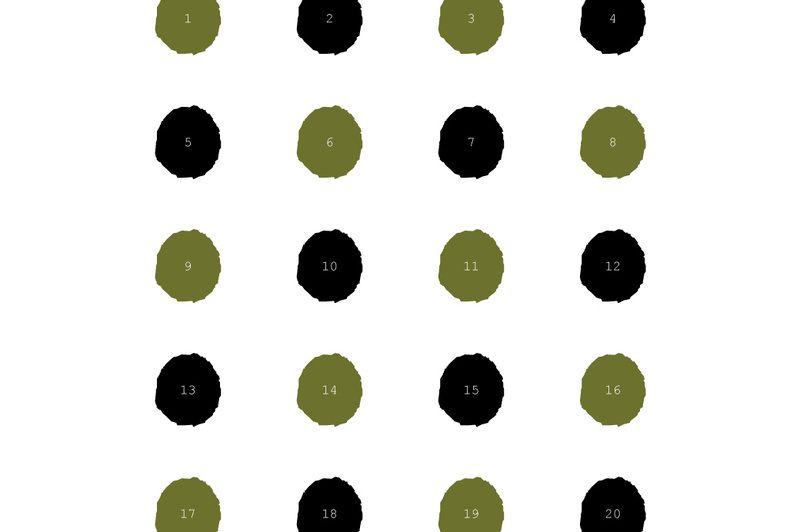 The core elements of the book – including a scaled-up circle motif and sans-serif typography – found their way into these applications. 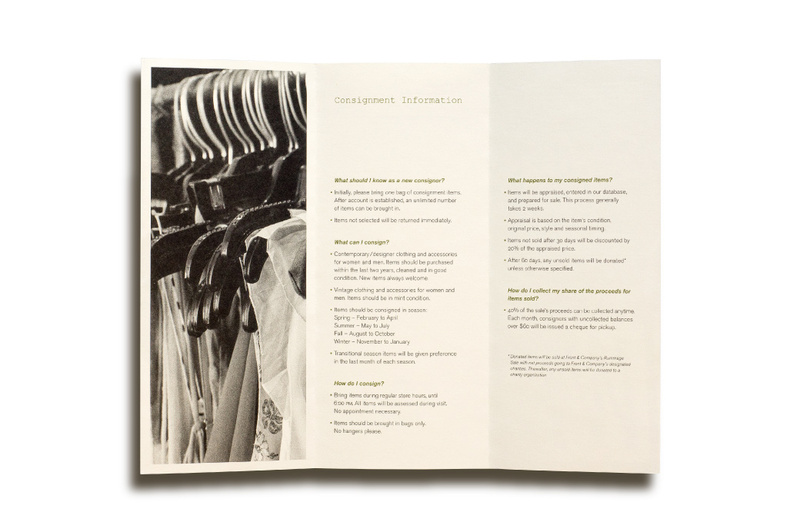 A more modern vocabulary was introduced to reflect the evolution of the business, and appeal more broadly to customers. 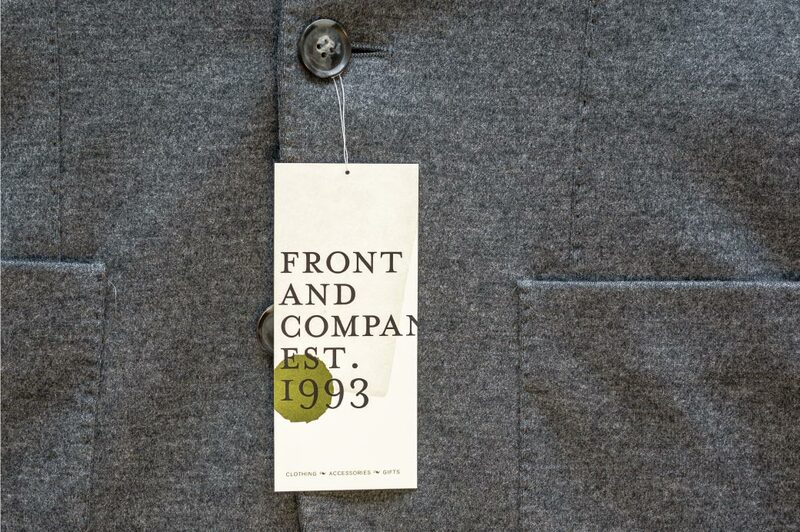 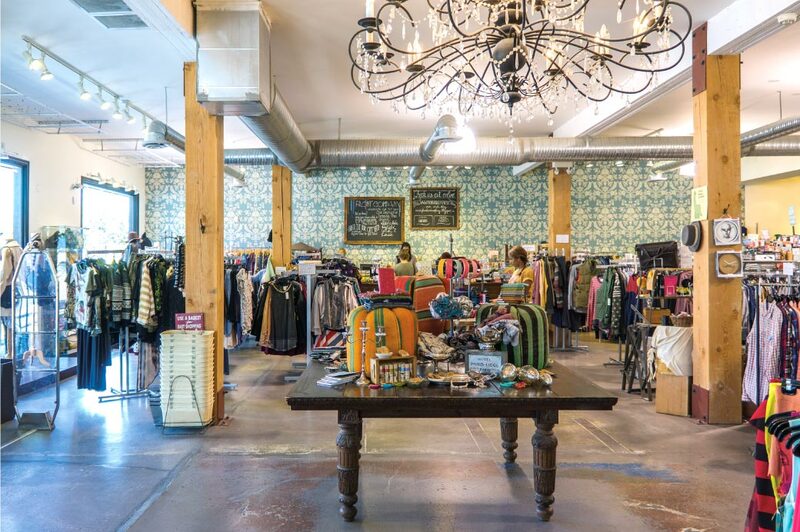 Similarly, the business cards (oriented like the clothing hang tag) featured a shortened tagline to reflect the shop’s current offerings – clothing, accessories and gifts. 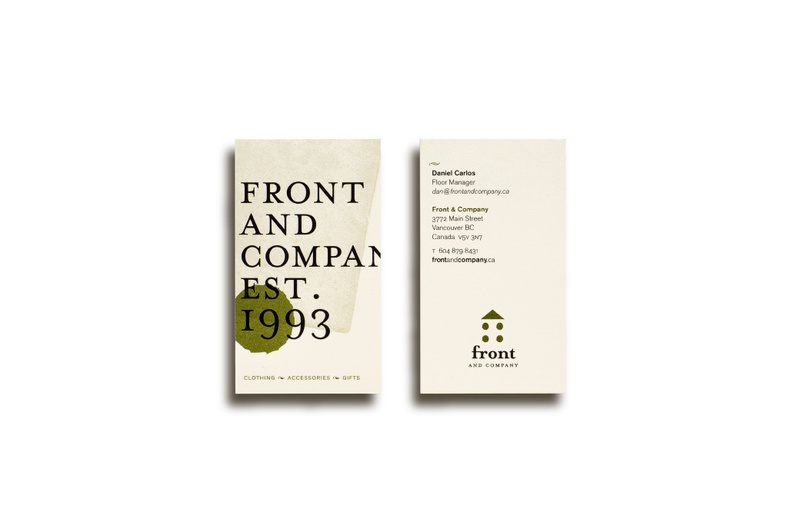 The visual approach was simplified and strengthened to project a confident face for Front and position it for the future.